One of the biggest crises of the application build-up is uncertainty. There are lots of techniques of iOS Application Development and the developers are well-educated, experienced and skilled to provide that, yet the apps are failing in engrossing good marks in app store. Bad user experience is the focal point of such failures. 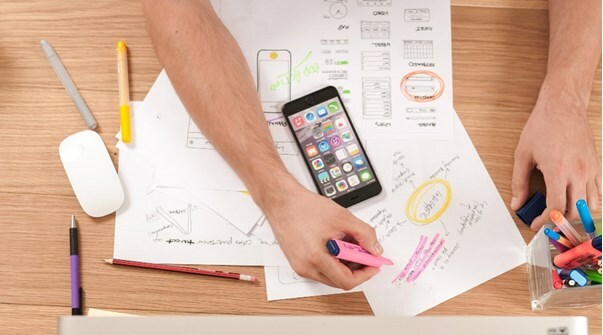 An article (posted recently online) showed that; “envisaging own app success” and “make more and more money with the application” are two wrong approaches that push the app developers towards failure. EVERPIX, HAILO and GOOGLE WAVE are three applications that had to down their shutter after some time of launching. The iOS app developer of a technically sturdy authority applies 5 steps of creating an application. These 5stages are the key to success, but it’s the superficial level. In a deep research readers would find some tight techniques of developing the iOS application. What should be the focus of iOS app development? Whenever a developer is handing such topic, the objective is to get success. Thus, one can manifest its credibility to the world. So, the developer should know that the focal point is how to enhance the user friendliness of the application. There are arrays of techniques in the market. Most of the techniques are impactful and relevant in this time. The appropriate technique of application development is finding the right technique. What is the objective of the iOS application? What service would the application carter? Why people would use it? The x-factor that differentiates this app from other ones. These 5 questions shall be asked before the start-up. Hundreds of iOS Application Development tools are now in the market, like App Code, Code Runner, RX- Swift, Test-flight, fabric, Applyzer, Stack Overflow, Mockingbird and lots and lots of tools have registered their market operation ability in 2019. Ninjamock is one of the greatest application developing tools that cater lots of features along with high functionality. This tools has been used for making the successful iOS application. At the third stage Ninjamock is the backbone of setting up a perfect wire frame. Ninjamock completes the wire frame design section. The tool provides many features that are mostly required for any user. These are main features provided by Ninjamock and there are many more. It’s a complete wireframe toolbox. This wireframe design tool uses in the modern market mostly, because it is appropriate for professional application’s development. Here, another robust tool is referred. X-code is a highly appealing and penetrating tool for making the best iOS application. This tool has launched its 10th version recently. X-Code has included all the key features that can make an application highly functionalized and user-friendly. The best part of the tool is its simplicity. The tool accomplishes bigger application framing works easily and quickly. X-Code has some easy ways of customizing and reforming the code. Developers can include the customization facility more, so users can choose their preferable layouts. The X-Factor of the tool is it has ability to set-up the speediest user-experience, even if in the smallest binaries. In one word X-Code creates the fastest iOS applications. SOFTQUBE TECHNOLOGIES is hungry for such amazing iOS Application Development tools.